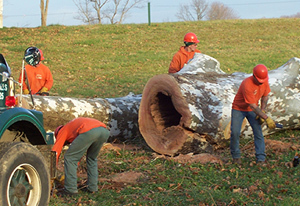 Our skilled staff of residential tree care specialists take special care and precaution to ensure that no unnecessary damage is done to the surrounding area. During our initial visit to your property, we assess any problems that might be present. Power lines, building structures or other obstacles can require the use of our specialized equipment. We use the most modern equipment, latest tools and techniques for performing tree work to get the job done quickly, safely and efficiently. 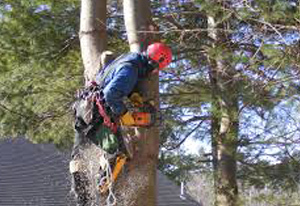 We provide residential tree removal and other services to clients in Upstate NY and the Adirondacks including Saratoga Springs, Malta, Glens Falls, Lake George, Ballston Spa and many more. To learn more about the areas we serve, please visit our Service Areas page. Selective removal of trees from crowded landscapes provides space for the remaining trees to grow and prosper. We work with you to determine which trees should stay and which trees should go during our residential tree removal process. We can provide pruning services to ensure the health and beauty of your trees, as well as aid in resistance to insects and diseases. Pruning can also improve the safety of your home by removing limbs that are dangerously close. Basic pruning consists of thinning, shaping, raising, or removing dead limbs and branches. For more information or an estimate for our residential tree services, give us a call today at 518-792-2225 or complete our contact form.